When you go to a fancy dinner, wine tour, or a dinner party do you ever feel pressure as to what you should be drinking? 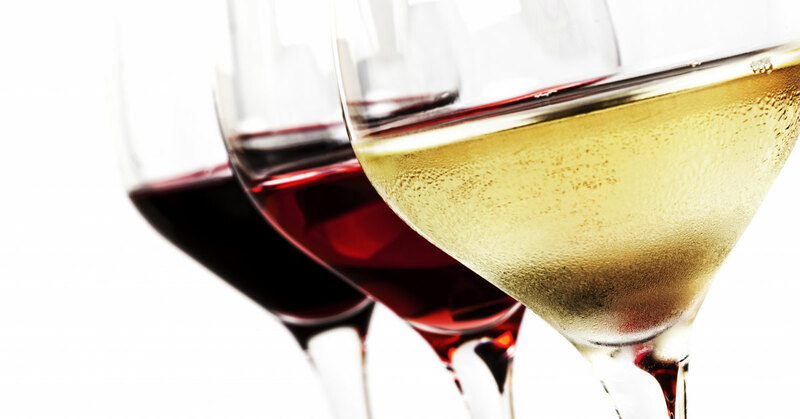 If someone asks you red or white do you secretly cringe? Does the thought of drinking wine intimidate you? You are not alone! Wine is one of the more complex alcoholic beverages and people who are sommeliers(experts of wine) study many years to be properly educated about the culture of wine. At Silk Road Transportation, we are the leader in wine tour transportation. Our vehicles have all the bells and whistles and will keep your comfortable during every ride you take.Taking a wine tour in Santa Ynez Valley is nothing but a fun time. But if you are anything like us, we like to be informed before we go on our journey. The overall main different between these two polar opposites is how they are created. White in made by compressing the grapes and gathering all the juice from them, and then fermenting the juice for a certain amount of time. Red wine is also made by fermenting the juice, but, the whole grape is left as well, that means skin, and pieces of grapes are within the mixture. When the wine is being produced the solid particles are filtered out, however having the skins and pieces of grapes present gives it that rich red color versus the white. Because of this, it means the wines contains different amounts of tannins. Tannins not only affect the color, but also the robust flavor and character of the certain wine. Tannins are found in the skin and seeds of the grapes. Tannins are also found in more common plants, wood, and even leaves. Many of us consume tannins on a daily basis, because they are present in many different teas. If a wine leaves a more dry taste in your mouth, that means the tannin content is much higher than others. White wines rarely ever give this effect. Leaving the grape skin on during the process of making red wine always makes the tannin count more prominent than in white wine. Ironically enough, the actual juice from the grapes have little to do with the color of red or white, it is all based off of the tannin amount. White wine tends to go through a heftier filtration process, where the tannins are actually removed to give it the clear color. Whereas, in red wine the color and tannins are embraced. Not only does red wine have a deeper and richer color and taste, it also has more alcohol than its sister. Alcohol is actually present in the sugar from the grapes, and then that gets fermented. The grapes used in red wine tend to have a higher sugar content than white wine grapes. White wine grapes tend to be picked when they are less ripe and red wine picked at the peak of ripeness. The higher sugar amount in the red wine grapes is what contributes to its higher alcohol content. When you are at a wine tour or with someone who knows their wines, they mention this term frequently. Red wines have more body due to the alcohol content, tannins, and how it was fermented. The body is bigger, meaning the “mouthfeel” because of all these factors, but especially because it has more tannins. White wine tends to have a light, crisp, fruity, and sometimes citrusy taste, White wine is usually paired with fish and other light meals to compliment the entire dinner. Red wines are full of body and have many different flavors such as spicy, fruity, and even meaty. These wines are best paired with roasts, steaks, and other heavy meals to go along with the heavier body wine. Hopefully, knowing the difference between red and white wine will help you feel more at ease when you are offered a glass at your next event. Come check out an amazing wine tour in Santa Ynez Valley to learn even more about why wine is so amazing and always call Silk Road Transportation to take you there!